With the evolution of different gadgets and portable devices, now youngsters have portable devices and they like to keep many videos on those devices. Earlier they used to have only one option to store the files and that is their computer system, but with the portable devices everyone can transfer the files to these devices and watch them while on the go. But while going through this process there is a major problem and that is the compatibility of the file format. These portable devices do not support all the file formats. WebM is one of the most popular formats in which these youngsters like to download many videos online but when transferred to other devices it does not support the operating system of those devices. The simplest way of sorting this problem is by having a converter which converts the WebM format videos into WMV format. There are two ways of doing it as discussed below. 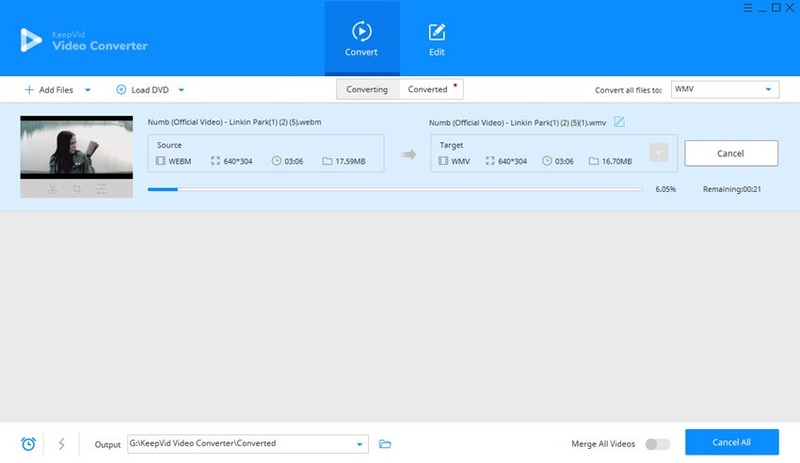 KeepVid Online Video Converter is one of the most popular tools for converting the WebM format videos to WMV format. This is a free tool and very user-friendly. Because of its simple user interface, it is very much popular among its users. The conversion process is very fast and simple. You simply need to add the file in the space located for that in the tool and then select the file format and then you have to select the output format in which format you want the file. 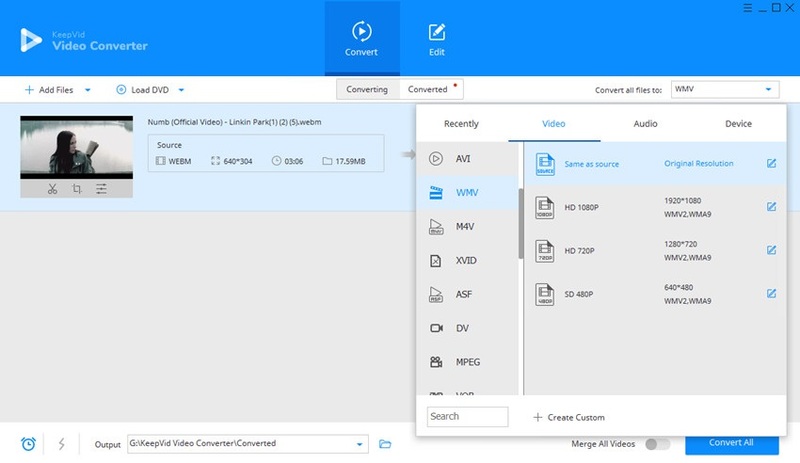 Here as we want to convert the file in WMV format, we need to select it in the output place and then simply click on convert button. Now after this within seconds, you will get the converted file in WMV format from WebM format.  The next and more reliable way of doing this is by using the desktop application - KeepVid Video Converter. Even the experts also suggest the same because when someone uses the desktop application for converting the file format of one video to another, there will be fewer chances of losing data in it. This tool is very easy to use similar to its online version, this is the reason this particular tool has been preferred by both beginners as well as professionals. 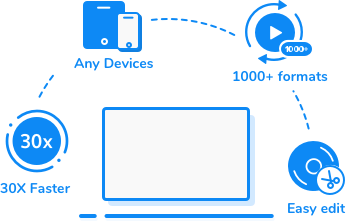 Convert videos with 30X faster converting speed than other converters. Step 2 – Click the menu icon at the upper right side and choose WMV as an output format. Step 3 – Click Convert button to start converting WEBM to WMV video. The conversion process of the videos is very simple. Here is a step-by-step guide mentioned below which will help you to understand the complete conversion process in just three steps. The first step is to download the software to your computer system and then install it, you need to select the right version of the software which is compatible with your computer system. After this, you have to add all the files which you want to convert from WebM format to WMV format in the software. For that you have two methods one is, by clicking the Add Files and then select them or by simply dragging them and putting it over the appropriate place in the software for converting them. In the second step you need to select the desired format in which you want your final video. You will find an inverted icon on the screen you need to click that. You just need to click that and after that simply select the format WMV. The last step is to begin the process. For that you need to click on the Convert button. After that, KeepVid Video Converter will start converting WEBM to WMV immediately. WMV files commonly referred to as Windows Media Video are the files which are compressed with the help of some video compression formats of Microsoft. WMV comes out to be one of the very popular formats that are being used to store the videos in the Windows operating system. Many times the third party programs use this file format for the task of short animations.